1 How Are Taste Buds Patterned? 3 How Can We Link Embryonic Development and Adult Taste Cell Renewal? 4 Is There a Specialized Taste Bud Stem Cell Population, or Are Extrinsic Signals Responsible for Defining which Cell Lineages Are Generated, and When? 5 Is Molecular Regulation of Taste Cell Renewal Analogous to That of Taste Bud Development? 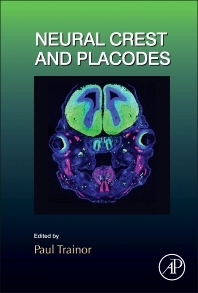 Neural Crest and Placodes provides in-depth coverage of the topic, including information on their critical role in vertebrate development, evolution, and the way defects in their development underlie a wide range of congenital disorders. It delves deep into advances made in our understanding of the mechanisms governing the formation, migration, and differentiation of these two cell populations, also discussing their integration during embryonic development. The text highlights the application of fundamental knowledge in investigating the etiology and pathogenesis of congenital disorders and the ways the data applies to the field of regenerative medicine. Paul Trainor, PhD is an Investigator at the Stowers Institute for Medical Research in Kansas City, MO USA with over 20 years of experience working in the fields of developmental biology, neurobiology and craniofacial morphogenesis. He received his PhD from the University of Sydney, Australia under the tutelage of Dr Patrick Tam before undertaking post-doctoral training with Dr Robb Krumlauf at the National Institute for Medical Research in London, England. The current emphasis of Dr Trainor’s research centres on the role of neural crest cells in craniofacial evolution, development and disease. He seeks to understand the mechanisms that regulate neural crest cell patterning and apply this basic knowledge to decipher the etiology and pathogenesis of birth defects and potentially develop therapeutic avenues for their prevention. His laboratory studies neurocristopathies (disorders of neural crest cell development) such as Treacher Collins syndrome, Holoprosencephaly and Syngnathia as well as other neurocristopathy disorders such as Hirschsprung disease. Dr Trainor is currently vice-present of the Society for Craniofacial Genetics and Development.